Of all the dental problems that can affect a patient’s oral health, tooth loss is one of the most serious. When patients lose a tooth, having it replaced can restore their oral function, health, and appearance, in addition to preventing the dental issues associated with missing teeth. Dr. Jeffrey Emmi and Dr. Laura A. Dougherty offer general dentistry services to educate patients about their oral health, including the causes of missing teeth. By being aware of the oral health problems or events that can lead to missing teeth, patients can provide the care needed to prevent tooth loss. To learn more about the causes of tooth loss, read on, and then contact our Wilmington, DE practice, Smile Solutions by Emmi Dental Associates, today. The most common cause of tooth loss among patients is poor oral health. When patients fail to brush their teeth twice a day, floss daily, and visit the dentist every six months for a dental exam and cleaning, they are at a much greater risk of developing the dental problems that contribute to tooth loss. Tooth decay: Tooth decay occurs when plaque and tartar build up on the teeth. These substances attract bacteria, which feed on the food particles and then emit acids that gradually destroy healthy tooth structure. As the acids wear through the enamel and dentin layers of the tooth, they create cavities or small holes. If the decay goes untreated, it will continue to damage the tooth until it can no longer support a dental restoration and needs to be extracted. Root canal infection: A root canal infection occurs when the bacterial acids reach the root canals of the teeth, destroying the soft dental pulp that lies in these central chambers. 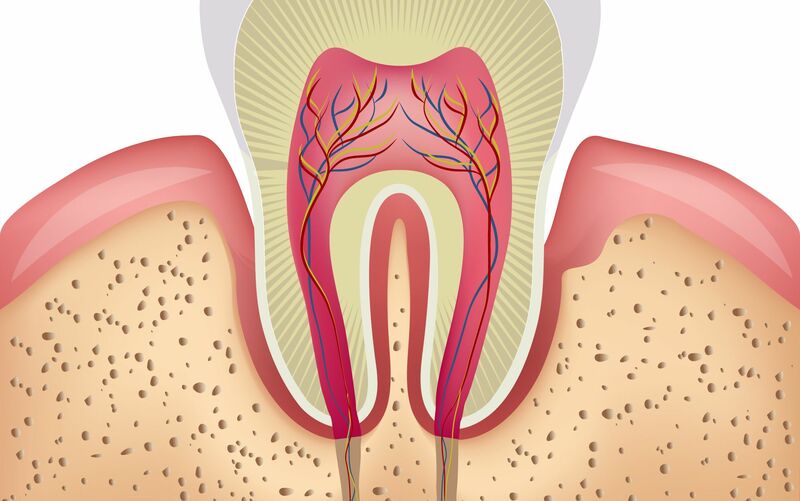 If root canal therapy is not performed, the infection will damage the tooth to the point that it requires extraction. Gum disease: The bacterial acids that damage the teeth can also eat away at healthy gum tissue. As gum disease progresses, it causes the gums to pull away from the teeth and form pockets. When the infection spreads, the ligaments and bone that also support the teeth become damaged, eventually making the teeth feel loose. If gum disease is severe, the tooth may fall out or require extraction. Sports-related injuries commonly result in tooth loss. Athletes, especially those involved in high impact or contact sports, should wear a custom mouth guard to help prevent tooth loss. Other injuries, such as those caused in an auto accident or assault, can also cause tooth loss. Bruxism is a condition in which patients chronically grind and clench the teeth. In extreme cases, patients may slowly wear down the teeth to the point that they require extraction. If you suffer from bruxism, we recommend that you wear a custom mouth guard to prevent the teeth from grinding. To undergo treatment for missing teeth, contact Smile Solutions by Emmi Dental Associates today.